A celebration of life service was held on 25 April at the Multi-purpose Sports Complex in farewell of Gene Schubert Maduro aka Bau Bau Gene who departed this life on 1 April. 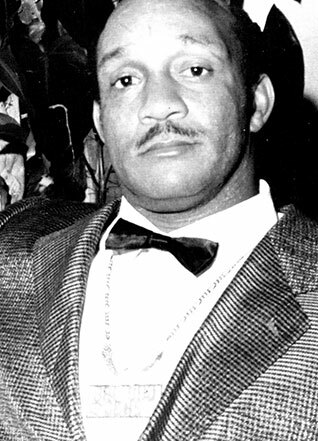 The late Gene Schubert Maduro was born on 19 June 1952 in Tortola to Julian and Doris Maduro of Baughers Bay. He was the last of four children of this union. At the tender age of six months, Gene lost his mother, Baby Gene in the VI colloquial terms became “Bau Bau Gene” a nickname that stuck with him throughout his life. His father was a hard-working person, and Gene and his siblings were left in the care of several family members. As a youth in his early teens, Gene resided with his father and Stepmother Ethel at Jean Hill. This was his last stop before striking out of his own. Gene entered the work force at an early age doing odd jobs at his Uncle Alvin’s garage in Baugher’s Bay. It was here that he showed a talent for fixing anything mechanical and in due course learnt to operate his uncle’s platoon of heavy equipment. His dream was to establish himself as the best heavy equipment operator in the Territory — a feat he accomplished in a few short years. Gene was an avid backhoe operator who was responsible for cutting many foundations from East End to West End and was named ‘Godfather’ by some for whom he dug foundations. This was because he would not only cut the foundation, but would deliver sand, gravel, steel and cement to the people and they would pay him little by little however they could. He was very energetic and not afraid of any challenge or any one. He lived by the motto “the easy I do right away the difficult will take some time.” No job was too small nor too large; where no one else would go, Gene would go just to prove a point that it could be done and he could do it. Gene had his own perspective on things, he was not easily persuaded or influenced by any one. He did what he loved and he loved what he did, he embraced life. He was very explicit; he never hesitated to tell anyone what he had to say, he made life easier with his humor: there was never a dull moment when Gene was around. Gene was a community-minded individual who gave free backhoe and trucking service by cleaning up roads and drains after every flood or hurricane. He played Santa Claus at Christmas time for a number of years and even purchased his own Santa suit. He sponsored softball teams from the Baugher’s Bay area, and was a member of the Four Strong Fungi Band. He was a sponsor of the Caribbean Ecstasy Dance Band on Virgin Gorda; and a member of the Heritage Dancers for a short time. He created the little sandy beach at the foot of Jean Hill, unofficially called “Bau Bau Gene’s Beach.” He was Mr. Fix it, for all of his friends and family and could fix anything mechanical. Gene loved the sea and boats were his passion. Gene is survived by his Father—Julian Maduro; Stepmother Ethel Maduro; Sons—Genero Maduro, Geno Maduro, and Eugene Maduro; Daughters—Jeanette Madoo, Shameka Durante, Gaelle Maduro, Krystle Maduro, and Nicola Maduro; Daughter-in-law—Iesha Maduro; Son-in-law—Kevin Madoo; Grandsons—Genero Maduro Jr., Rajan Maduro, K’mari Maduro, Jaden Maduro, Syon Pope, Saron Stroude, and Syriek Pope; Grand-daughters—Geniah Maduro, Kais Maduro, Syann Stroude, K’disha Maduro and Talon Maduro; Brother—Bensen Maduro; Sisters—Shirley Penn, Nadine Potter; Brother-in-law—Bernard Penn, and Ron Potter; Sisters-in-law—Marchi Maduro, and Julia Maduro; and many other relatives and friends too numerous to mention. The publishers, management and staff of The Island Sun newspaper extend deeply felt condolences to the relatives and friends of the late Gene Schubert Maduro, aka Bau Bau Gene.